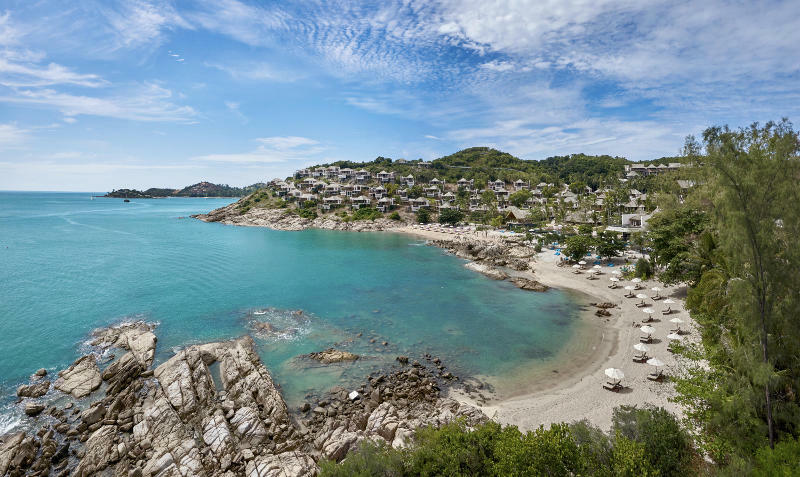 How can one resist the siren call of Koh Samui, the idyllic island off the coast of Thailand, with its azure waters, pristine beaches and jungle-covered hills? It’s a magical place where time seems to slow down and the weight of the world becomes feather light. 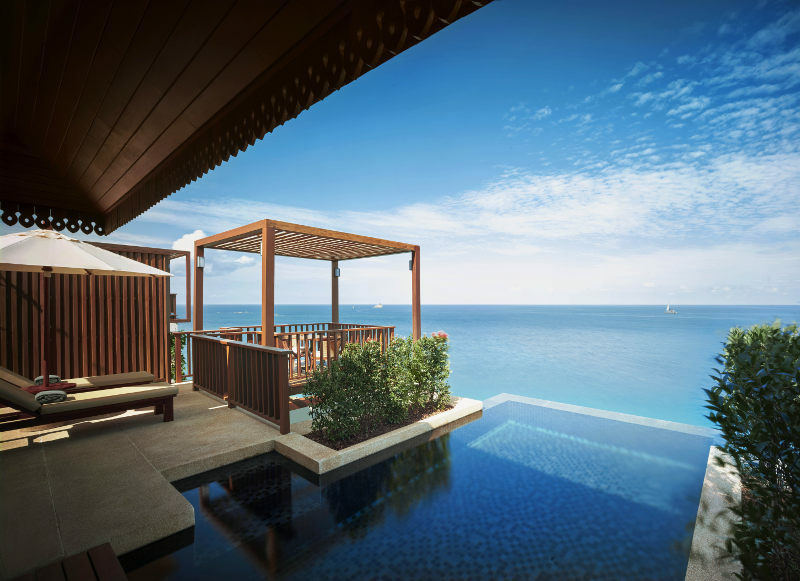 So, it comes as no surprise that The Ritz-Carlton decided to nuzzle contently into a quiet corner of the island with a beautiful new resort – The Ritz- Carlton, Koh Samui. 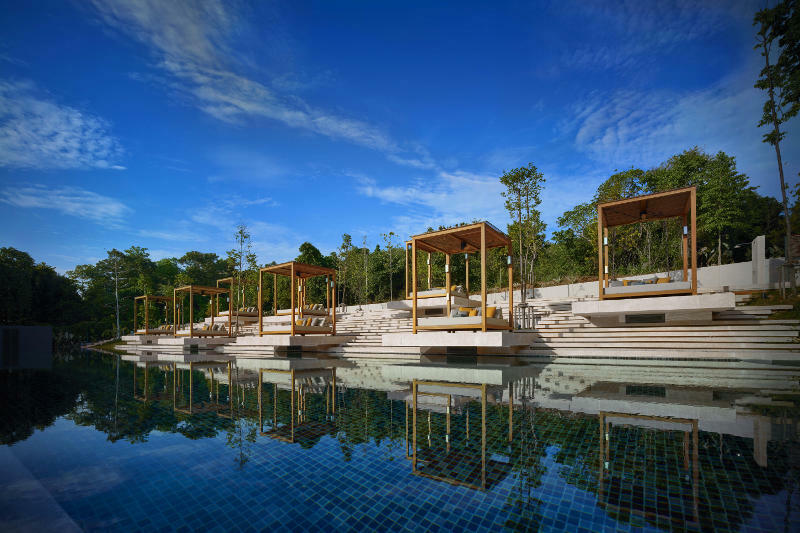 It is in this gorgeous new resort that Iwas introduced to The Samui Way of Life for not only a weekend getaway, but also to celebrate its grand launch to the world. “What is The Samui Way of Life?” I caught myself wondering out loud as the smiling staff greets my arrival at the lush 58ac oceanfront resort. I would get my answer in the next few days at the tranquil space but, first, it seemed that Mother Nature was in a fickle mood. A flash of lighting streaks across the overcast sky and I could feel the deep rumbling thunder echoing in my chest. It appeared that a thunderstorm was fast approaching, intent on raining on my parade. As the old saying goes, however, every cloud has a silver lining. When the weather turns on you, the only answer is to turn to yourself. And that I did in the sleek interiors of my Ocean View Suite. 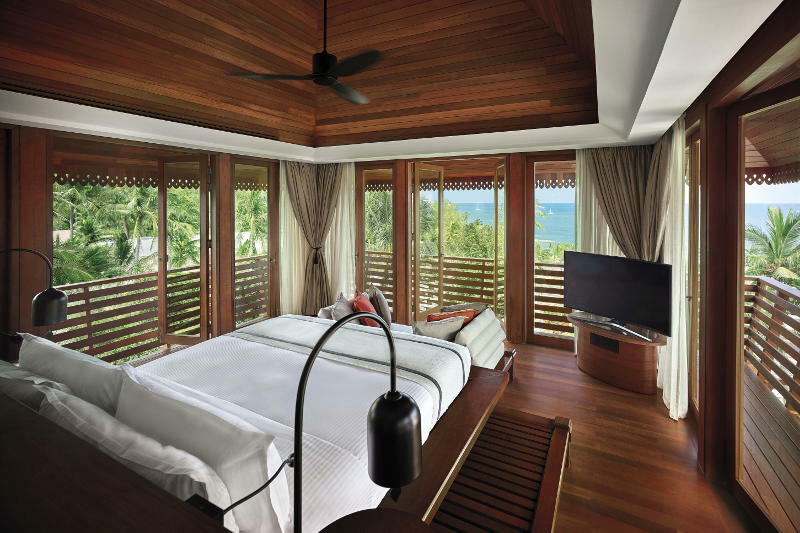 One of the 175 suites and pool villas of The Ritz-Carlton, Koh Samui, the neutral toned suite is a meditative haven, speckled with wooden accents and enlarged windows that flood the interiors with natural light. At 1,001 sq ft, the suite has ample room for a generous bathroom with separate shower and bathtub – fitted with the ever-luxurious Asprey amenities – a grand king bed which was a cocoon of comfort with feather duvets and plush pillows, as well as a lovely living area with a handsome wooden writing desk and cushy sofa. My favourite nook, however, is the veranda. Surrounded by wooden railings, I caught glimpses of blue waters through the tall coconut trees. While an emblematic feature of beachfronts, the land where the resort currently sits on was formerly a coconut plantation and, so, these towering trees are always within view. 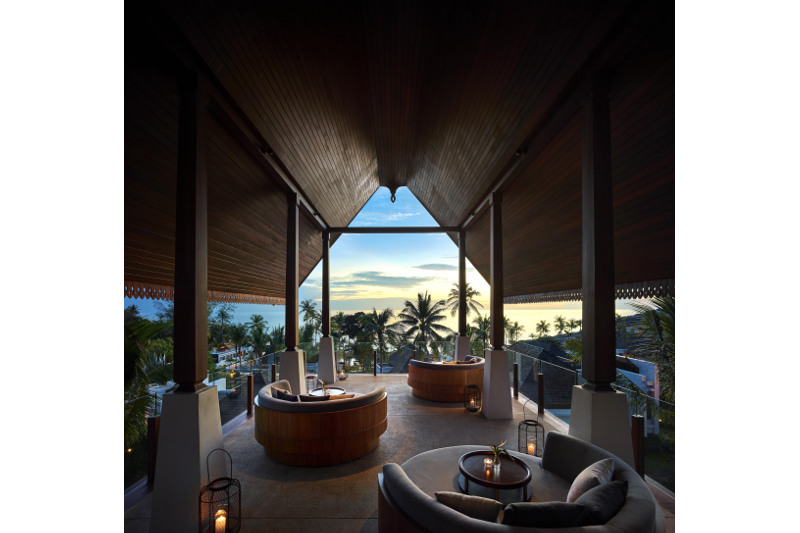 It’s one of the ways the resort pays homage to its past, another being a nourishing Samui’s Coconut Heritage treatment at the Spa Village Koh Samui. As the sky opened to weep down pellets of rain, this silvery curtain is the sublime backdrop for a cosy afternoon of reading and relaxing with a warm cup of coffee on the daybed. The rain didn’t last long, though, and the clouds soon parted to give me sun-soaked days for the rest of my stay. With the sun shining high in the sky, the pristine white beach beckoned with its sparkling waters. To get to this prize, I first had to traverse through the verdant landscape on a buggy, which gave me lovely vistas of the property and, by the time I arrived on the shore, there was a placid smile on my face – it was simply breathtaking. The waters spread across the horizon and I could opt to idle on the lounge chairs sprinkled along the beach or plunge into the sea. Unable to resist, I dove into the sea. There was no replication of Jaws here, but I did get to participate in the live fish feeding and watch them eagerly gobble up the pellets strewn around me. 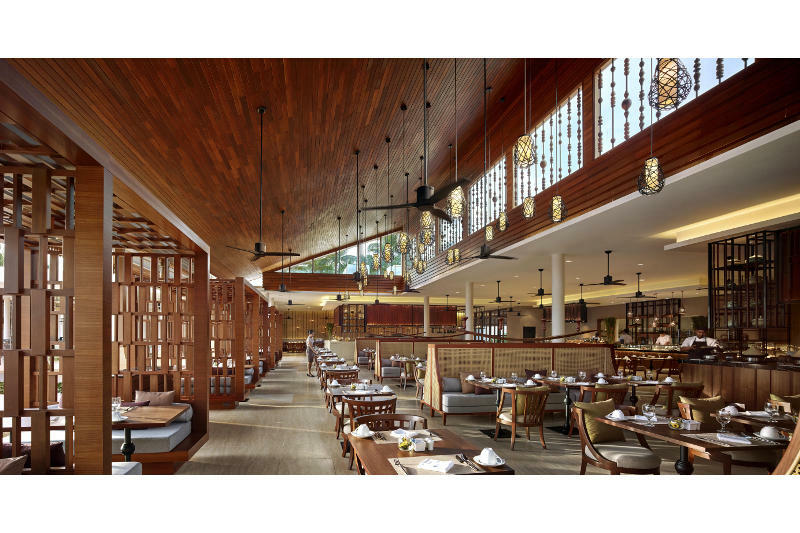 One thing I haven’t commented upon is the stunning architecture of The Ritz-Carlton, Koh Samui. The area around the pool is a collection of various dining spots, all constructed of sand-hued blocks in clean, contemporary lines. In fact, the area had a Santorini-esque vibe to it and, at times, you would be forgiven for thinking that you’ve been transported to the famed Mediterranean city. 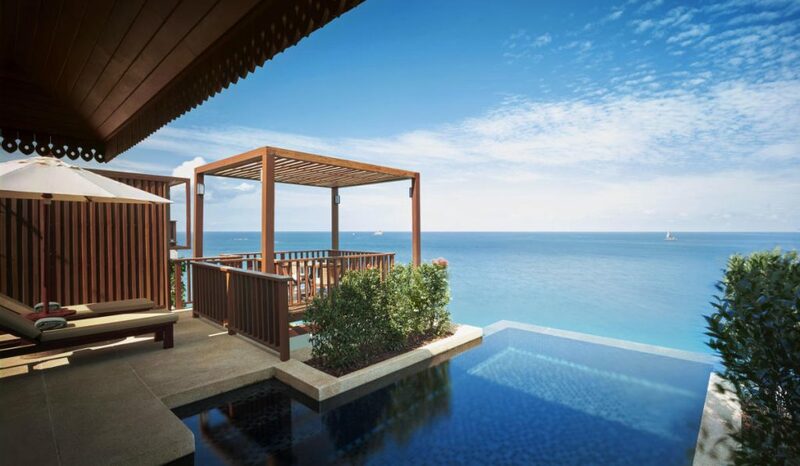 One of my favourite spots to admire this architecture is Pak Tai, where private dining alcoves surround the Swim Reef. Here, you can watch the delighted snorkelers while tucking into a splendid fare of traditional southern Thai cuisine, interpreted to perfection with ingredients from local markets. If you like your green curry and mango sticky rice, this is the place to be. Another utterly delightful culinary pleasure happening at night at Baan Talat. Taking place once a week, the resort is transformed into a mini night market as stalls line up side by side, serving up authentic Thai bites prepared on the spot, very much like the famed Thai street food vendors. It was a mini treasure hunt for me as I eagerly shuffled from one stall to another, having my pick of grilled sausages, fried meats, noodles and sweet desserts. Indulging on the delectable treats, I chatted eagerly with my tablemates to the soothing traditional music in the background. Not only that, there were also elegant Thai dance performances, local crafts on sale and even a quick-draw artist ready to render your image at the drop of a hat! Laughter filled the air and the conversation was warmed with glasses of wine. At this point, I finally found the answer to my curious query: “What is The Samui Way of Life”? It’s all about savouring each moment and letting yourself indulge in life’s little luxuries. 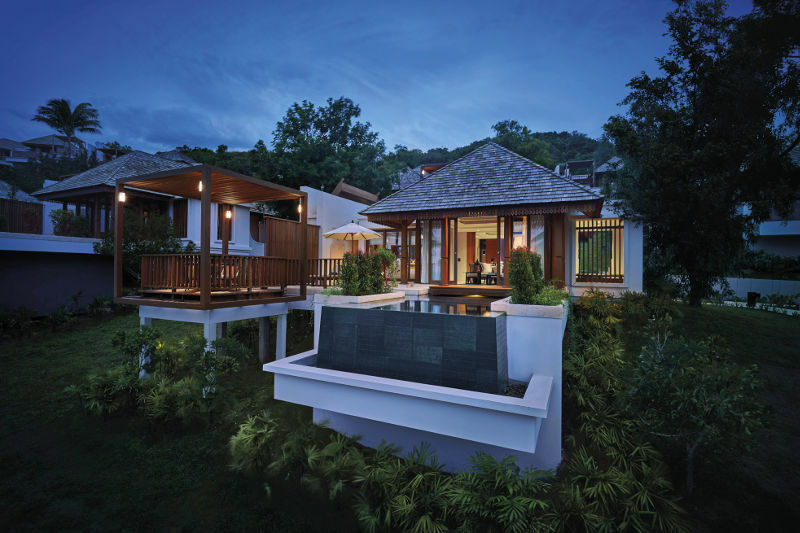 At The Ritz-Carlton, Koh Samui, time is suspended and the impeccable service was exemplary. It’s hard to feel glum in this sunspot where warm smiles greet you at every corner, interspersed with the distant tunes of cicadas.